Money Plus are Financial Brokers that have been in the business of financial and investment planning for many years. They are dedicated to providing bespoke financial planning advice to individuals, companies and charities. More recently, Money Plus provides a training platform through which various training modules are provided. David Harty heads up this division and he has spent the last 10 years providing CPD, MCC and CPC Training to various industry sectors. Members of Brokers Ireland, Money Plus has been shortlisted as the best broker in Connacht Ulster for the last 4 years and a winner in 2016. In recent weeks, Money Plus has been selected as an Approved Intermediary for Mercer Ireland Ltd. This places Money Plus amongst the top 8% of Financial Brokers. · A Personal, Reliable, Confidential & Trustworthy service. · Speed and Choice through a technology led platform. Liam Cashell has more than 20 years’ experience in the Financial Sector. He initially worked in retail banking and then joined Bank of Ireland Insurance & Investments in 2002. During his time there, he developed his knowledge of the financial Services sector. Liam moved to self-employment in 2006 where her further developed his knowledge of Group Pensions, Co-Directors Cover, Keyman Cover and Pre & Post Retirement Planning. A graduate of NUIG, Liam is a Qualified Financial Adviser (QFA, a member of Brokers Ireland and the Institute of Bankers in Ireland. He is a Director of Money Plus and a regular contributor to Radio and Industry events. Eamonn Kielty is Managing Director of Money Plus, a leading Financial Brokerage based in Sligo and Dublin. Eamonn’s career to date has been almost exclusively within the domain of Financial Services having worked with Friends First and Bank of Ireland prior to forming his own business in 2006. Currently, Eamonn is a member of Brokers Ireland, a member of the Life Insurance Association and a member of the Institute of Financial Planning. A member of the National Council of ISME (Irish Small & Medium Enterprises) since 2007, Eamonn is an ex-Chairman and sits on the Board of Directors. Previously, Eamonn attended NUIG, obtained a degree in Mathematics and Economics and completed a Postgraduate Certificate in Marketing. Professionally, Eamonn is a QFA (Qualified Financial Adviser) and is accredited with a Certificate in Investment Advice. A regular contributor to newspapers and a presenter at various industry events. David Harty has over 35 years’ experience providing Financial Services and F&I Training to the Irish Retail Motor Industry. In previous employments, he has held the roles of Senior Account Manager and Regional F&I Manager where he recruited, trained and monitored the development of Business Managers in key dealerships. Within these roles David led in the development and performance management of the first Dealer Technology System in Ireland. In conjunction with Money Plus, David set up David Harty Training, an F&I Training and Consultancy Business to the Irish Motor Industry. David specialises in F&I Sales Training for Business Managers and Sales Professionals together with recruitment, CPD coaching and consultancy. All training courses are fully accredited by the Institute of Banking in Ireland for CPD. 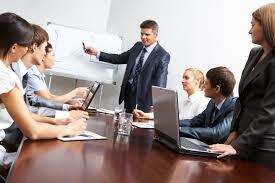 He also provides bespoke F&I Training workshops for leading Financial Service Providers. He has excellent presentation and communication skills with the ability to influence and motivate work behaviours within a fast paced environment.